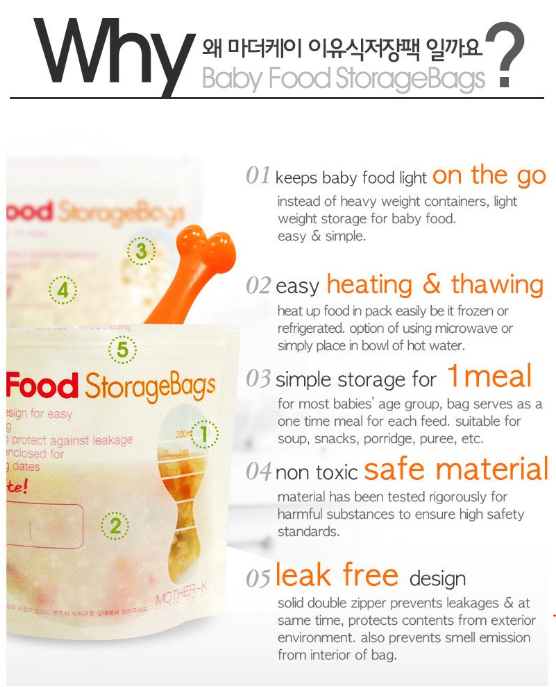 •Tested by SGS Korea for anti bacterial and safety in usage. 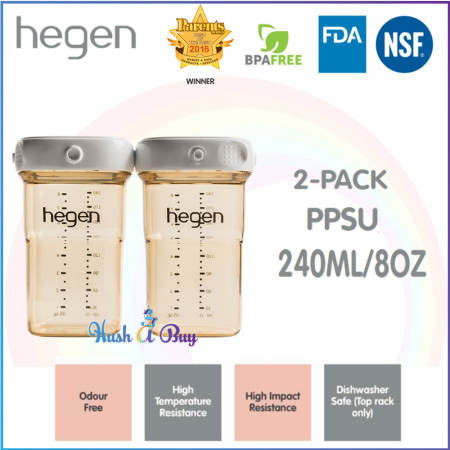 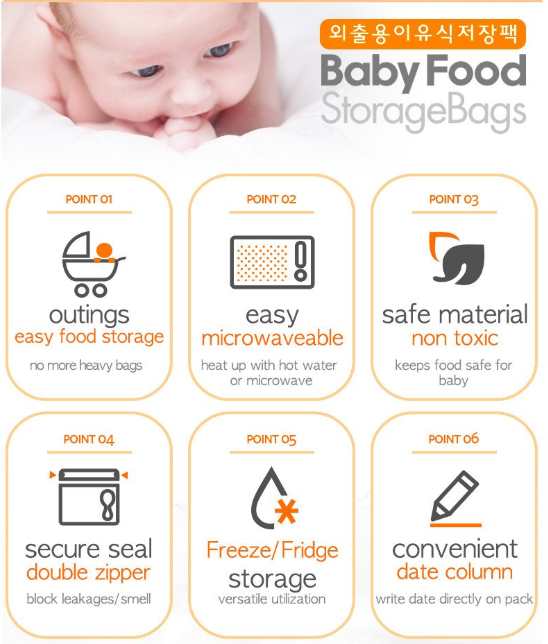 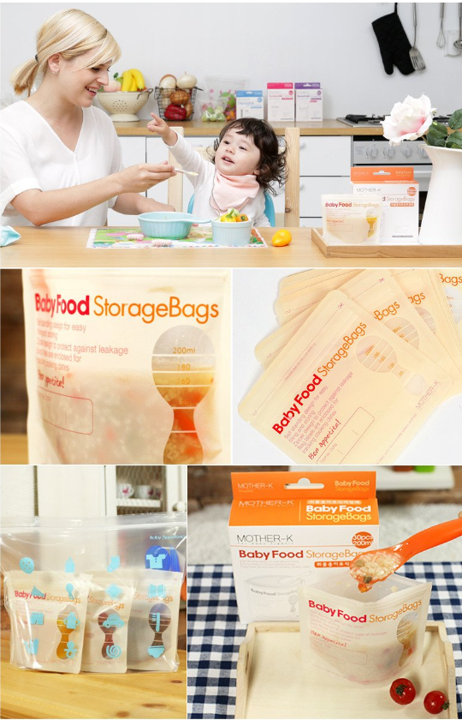 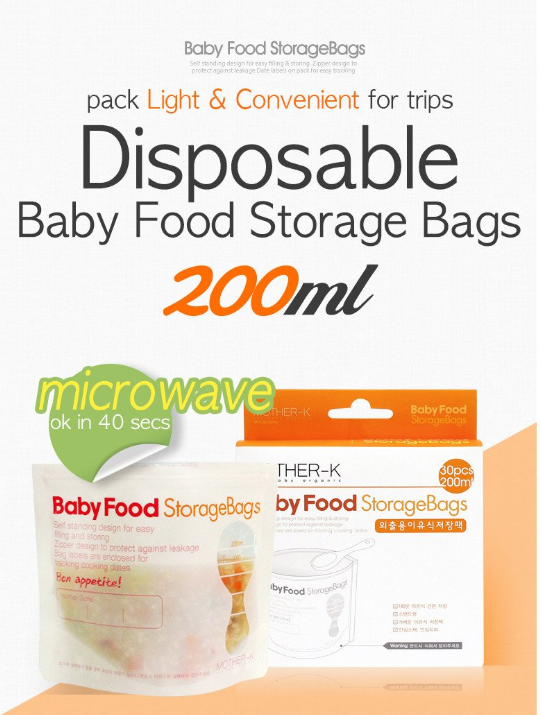 •Easy & light storage of baby’s food while on travel or on outings. 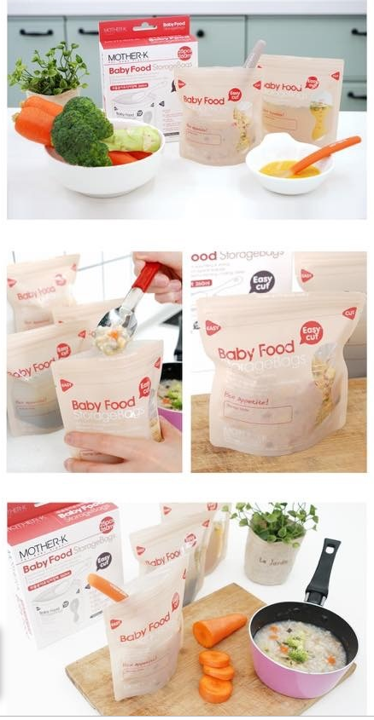 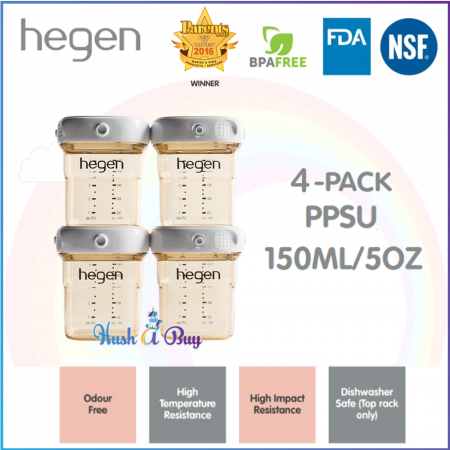 •Great for storing porridge, puree, biscuits & all other types of baby food products. 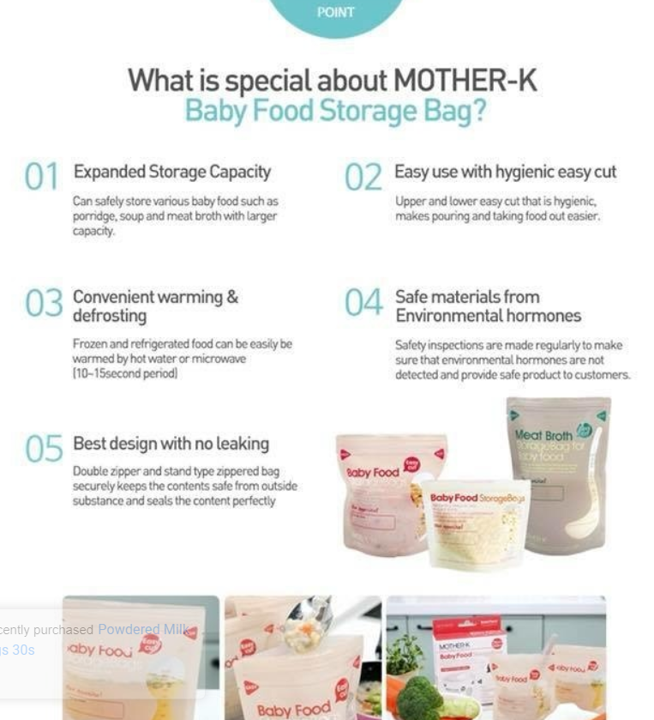 •Solid double zipper prevents leakages & protects contents from exterior environment, also prevents smell emission from interior of bag. 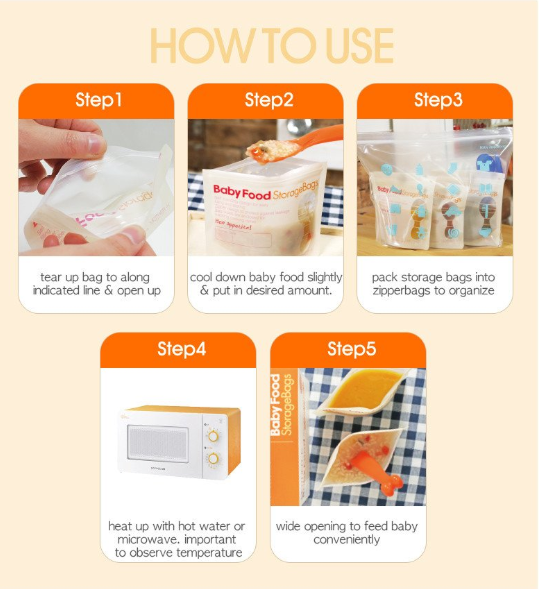 •Microwavable for up to 40 seconds & temperature not exceeding 80°C. 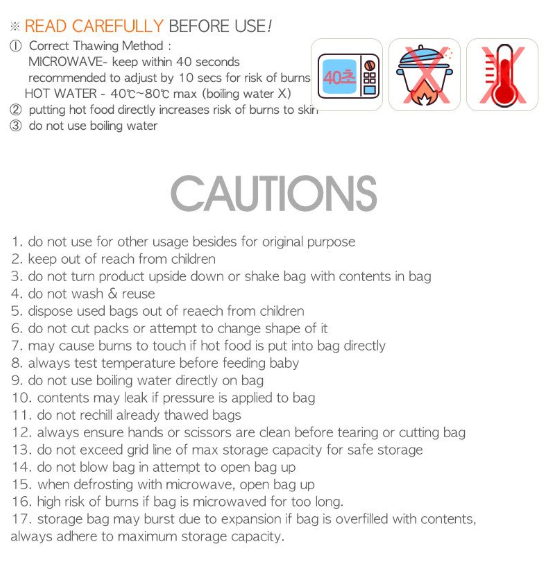 •Can withstand cold temperature of -20°C & up to hot temperature of 80°C.